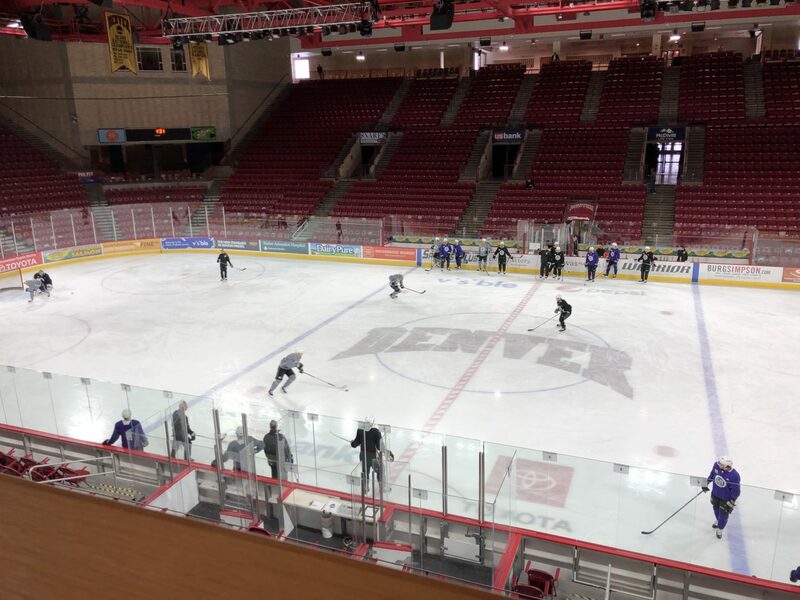 The LA Kings practiced at Magness Arena on campus at the University of Denver on Friday afternoon just as the third-ranked Pioneers were convening and loading up the bus for their big rivalry tilt in Colorado Springs against the Colorado College Tigers. 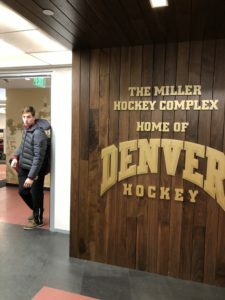 Photos of the charming arena and facilities are below. I was interested to hear from Adrian Kempe, whose line played hard minutes and was praised by Desjardins after Thursday night’s 2-1 win. His quotes and Desjardins’ are below. I think we spent a lot of time in the D zone, and when we did, we did a good job turning the puck over and going the other way, getting on their D on the forecheck for some turnovers, and we had some good chances. We had a goal, so that was obviously good for our line. I think we’ve been creating a lot lately but we haven’t really gotten the pucks in the net, so obviously that was a good confidence boost for our line – just getting a goal and playing a solid 60 minutes. Sometimes – it depends on what teams you’re playing, obviously. We still try to bear down a lot in the D zone, play better there and create some looks for both Hags and Ty, and I think we’ve been doing that lately. Hopefully we can keep bringing that to the team and keep using our speed and getting on the forecheck, because that’s what we’re really good at as well. We’ve got to keep doing that, and hopefully we’ll score some more goals, too. I expect so much from him. When I watch him, I think he has a good upside to his game. I don’t think we’re seeing the best player he is yet. I think he’s still developing, and I think they liked getting the start yesterday. They had a good start, and that was important for us. He’s just a young player, and Toffoli’s still young, too. They’re guys that can go together. Yeah, but he defends more than that. He’s good in his own zone, he’s good at getting pucks out. It’s not just the offensive side, he’s good defensively as well, which people don’t a lot of times give him credit for. He’s a good wall player. And the other thing is he’s ready every shift. He doesn’t complain whenever he gets called, he’s ready to go. He kills penalties, too, which indicates that he’s not just an offensive player. Like, he’s a player that can give us a number of things. He’s handling it well. He doesn’t complain. Like, he wants to play, and I think he’s been pretty good. The numbers aren’t there, but the numbers will come. He’s a good player. We’ll see tomorrow. Whenever you play lots of hockey, there’s always some bumps and bruises with it. Well, you do talk on the bench about what you need. We just had to get the puck behind their D so we could establish the forecheck again and just get some pressure off our D. They got so much pressure, our D were just getting tired from shift after shift coming. You make comments on the bench of what you need to do. I think you can slow it down a little bit, try and give the guys a little bit of a breather. But I think overall, we didn’t manage the puck quite as well as we needed to. We had a couple times where we could’ve cleared our zone and we didn’t, and then we had a couple times we didn’t get it deep. Well, they’ve got some high-end players. I thought we defended well. It was a little bit like the Dallas game. We just finished like we were above and didn’t give their transition game going. I thought we were smart with the puck. Overall, our group’s battling pretty hard. These were tough games to come on the road and get points, and to get three out of four is good so far. We have to be good in the next one. It’s going to take a team – they’ve got last change, so you’ve got to have every line going. It’s a good line. They have so much speed coming out of there. 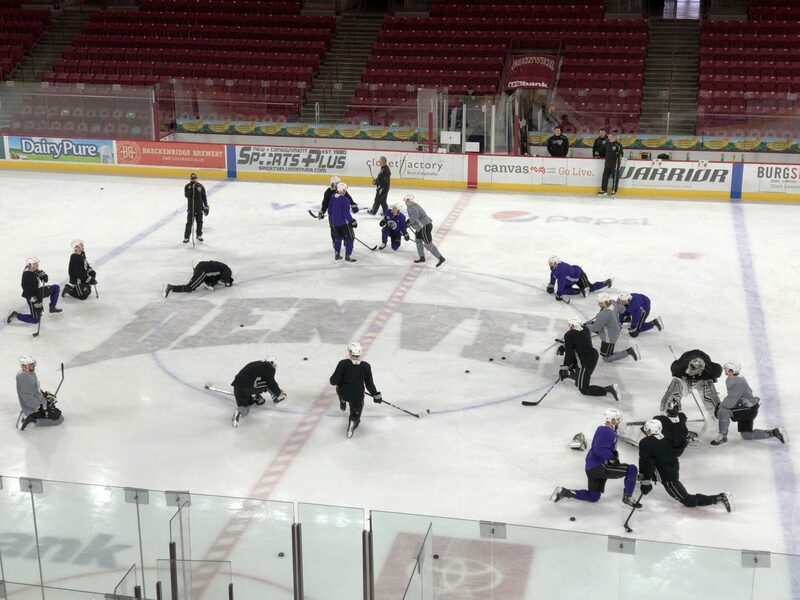 They can move, they’re hard on the puck, they’re excited when they get a chance, they’re hungry every shift, so they’re a tough line to defend against. We just came off the Benn-Seguin-Radulov line that’s also a tough line, so that’s something that we’ve just seen that should probably help us. 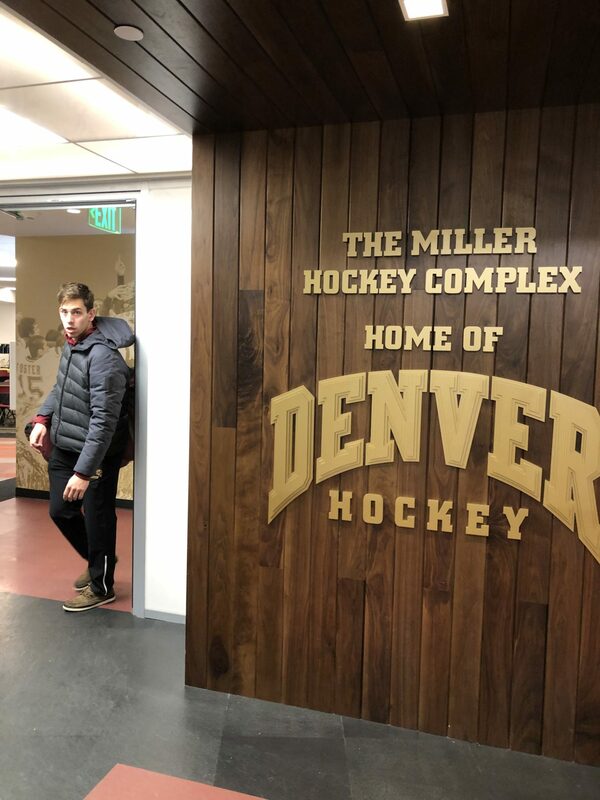 The #3 ranked University of Denver hockey team catches the tail end of today’s #LAKings practice before their trip down I-25 to face Colorado College.